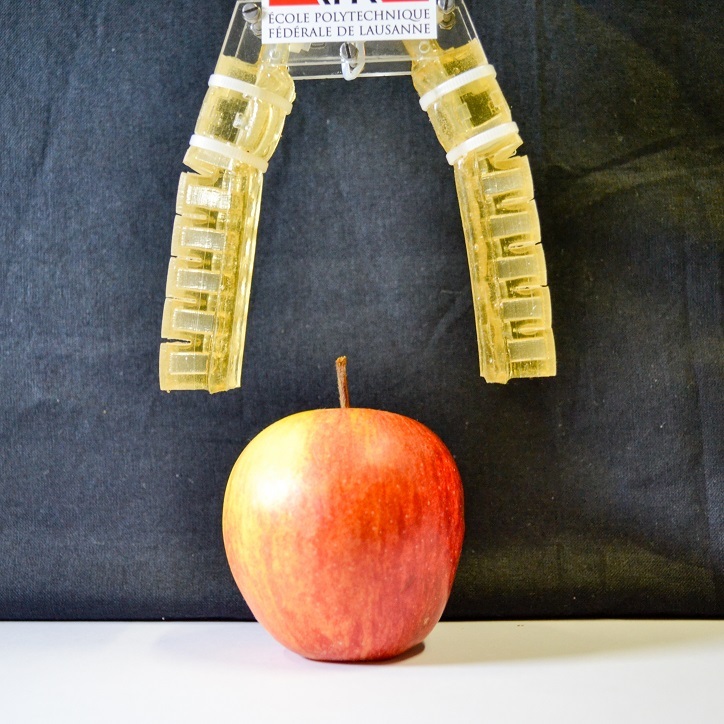 A new paper released by researchers at the Swiss Federal Institute of Technology in Lausanne (EPFL) details the creation of gelatin-based actuators, a technology that could bring us closer to edible robots. It’s an admittedly strange dream, one the team hasn’t quite wrapped its head around at this early stage. In a conversation with TechCrunch, Dario Floreano, the director of the school’s Laboratory of Intelligent Systems, admits that the team may have put the cart in front of the horse in their research. The work was apparently born out of a challenge to create something new, rather than the desire to address any specific functionality. Floreano lists off a number of potential applications for edible robots, including food that can walk itself to hotter or colder locations or inch its way toward the human or animal it’s looking to feed. What’s more immediately compelling, however, is the possibility of delivering automated medication, as touched upon in a recent Recode article that helped bring the EPFL study to wider attention. The research follows a similar study issued by MIT last year that detailed the creation of an origami robot made from dried pig intestines that essentially unfolds in an attempt to capture and removed harmful swallowed items, like batteries. What potentially sets EPFL’s research apart is the creation of fully digestible actuators that can be broken down by the human body. The creation of the actuators is part of the team’s ongoing research into soft robotics, a sub-field of robotics inspired by nature that make for components that better comply with their environment. Notable applications for the technology include robotic grippers capable of conforming to a wide variety of different shapes. 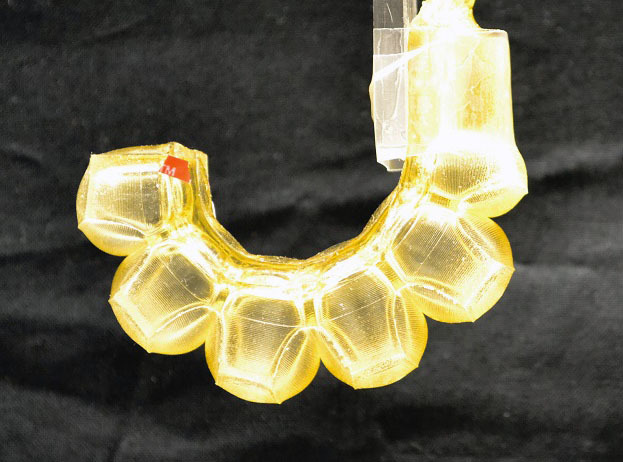 Once inside the body, the robots could utilize internal chemical reactions to drive movement. They could also leverage non-toxic batteries designed as part of the growing field of edible electronics that can’t be digested but can pass through the body without harm. As for taste, it’s pretty much non-existent on the current gelatinous version of the EPFL’s early-stage edible robot. Though the researchers are teaming up with nearby École hôtelière de Lausanne, a world-class hospitality school, to create better-tasting robots in the future.